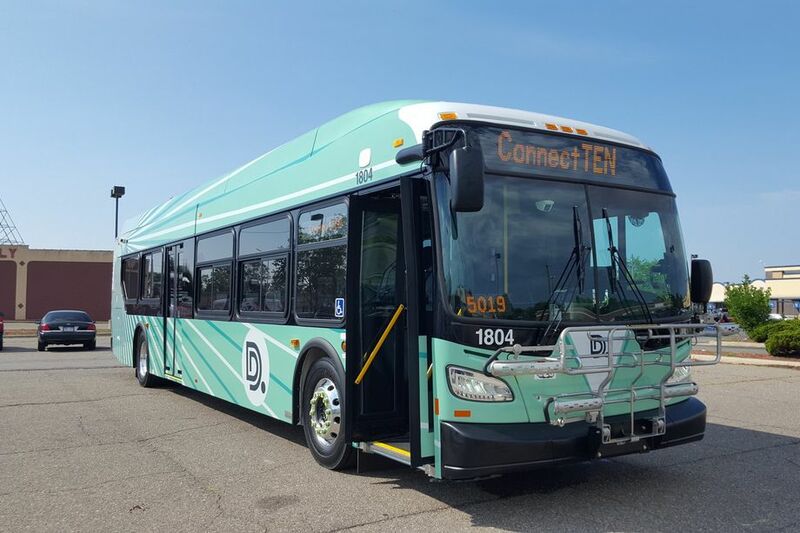 DDOT has recently launched big improvements, adding 500 trips a week, under a new brand called ConnectTen. Perhaps you’ve already noticed that your longtime route has a new number, or seen the freshly wrapped, green buses around the city! Here’s a summary of the changes you can expect. 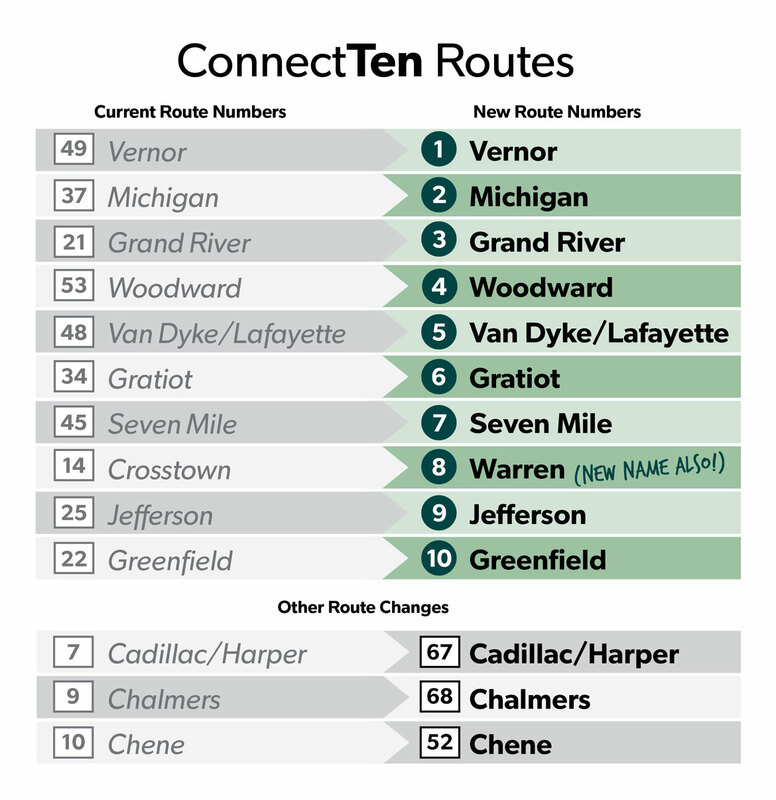 The ten routes that are used by 60% of DDOT riders have been renumbered 1-10, in some cases replacing route numbers that have been in place since the days of Detroit’s streetcars. The goal is to make route numbers more straightforward, and easier to understand for new riders. –Run 24 hours a day, making life easier for shift workers and those who enjoy Detroit’s rich nightlife. –Run every 15 minutes or better during peak hours (6a-9p and 3p-6p on weekdays). This is a step towards being able to ride without having to check a schedule to see when a bus is running! –Have sharp new, light green wraps. –Offer $7 Lyft ride credits between 11pm and 5am on weekdays. This is an expansion of a service that has been piloted on the Woodward route. Click here for details. TRU is thrilled to see these new improvements which are a great step forward in both attracting potential new riders and improving the riders experience for those who are already using the system.